Predicting PD-1/PD-L1 status in bladder cancer with 18F-FDG PET? Rarely before has a novel cancer treatment led to such an explosion in molecular imaging research as has been seen in recent years with immunotherapy [1, 2, 3]. In fact, over 700 papers published since 2010 involving immunotherapy and molecular imaging are cited on PubMed – nearly three times the number of such studies published during the previous 30 years. Immunotherapy treatment presents many unique challenges for imaging, and is thus a ripe research environment for those in our field. Complex response patterns, the wide expression of checkpoint targets, and the relatively small proportion of patients who respond all lead to the insufficiency of traditional imaging approaches. There is still an urgent clinical need to identify patients who are likely to respond to immunotherapy, as well as to monitor treatment efficacy and potential side effects. These are all areas in which noninvasive imaging can play an immense role. Many preclinical and initial clinical trials are exploring the use of novel imaging tracers to map the distribution of immunotherapy-related biomarkers in vivo. These strategies can take the approach of targeting immune checkpoints, such as PD-1, PD-L1 and CTLA-4, or targeting more universal immune cell markers, such as CD3 or CD8 [1, 2]. Additionally, markers of immune activation, such as granzyme B and OX40, have been targeted for imaging studies [4, 5]. These imaging studies are often complicated by the unique considerations that come with imaging the immune system, such as the relatively low density of biomarker expression which is also highly dynamic, and the small population of target cells. As such, the majority of these agents are far from widespread clinical application. Therefore, more universal tracers such as 18F-FDG are being tested in many immunotherapy settings. 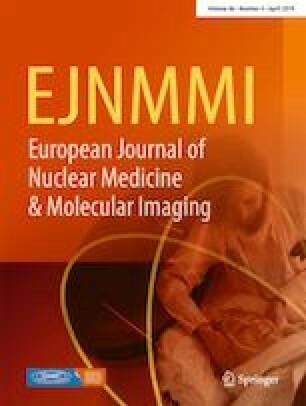 The unique response patterns and phenomena that are being observed in patients receiving immunotherapy are forcing nuclear medicine researchers to develop novel ways to interpret these imaging findings . In this issue of EJNMMI, Chen et al. present a step forward in this field in the form of a correlative study between 18F-FDG accumulation in bladder tumors and the expression of two important immune checkpoint targets: PD-1 (programmed death protein 1) and its natural ligand PD-L1 . There is some evidence that the expression of these two molecules correlates with patient response , such that determining their expression levels prior to initiation of checkpoint therapy may help stratify patients and select the proper treatment. These authors have conducted similar 18F-FDG correlation studies in other types of cancer previously [9, 10, 11], and have shown relationships between FDG uptake and FBP1 expression in hepatocellular carcinoma, HER2 expression in gastric cancer, and LDHA levels in lung adenocarcinoma. Likewise, PD-L1 expression has been found by other groups to be correlated with FDG uptake in lung cancer [12, 13]. Evaluation of 18F-FDG uptake patterns is thus a well-established method for noninvasively inferring biomarker status in cancer patients. In the present study, the authors showed that higher 18F-FDG uptake (SUVmax) in bladder tumors is correlated with the expression of both PD-1 and PD-L1, as determined by biopsy. Using an SUVmax cut-off value of 22.7 along with T stage, patients could be grouped according to their probability of being PD-1/PD-L1-positive. In the “low-potential” group PD-1 and PD-L1 were expressed by 0% and 17.6% of patients, in the “moderate-potential” group by 9.1% and 36.4% of patients, and in the “high-potential” group by 50% and 90% of patients, respectively. The differences were all statistically significant. Interestingly, all six patients with PD-1-positive tumors were also PD-L1-positive, indicating the interwoven nature of these immune checkpoints. These findings are important since 18F-FDG is the most commonly used PET tracer in oncology, with wide availability in clinics worldwide. The ubiquitous nature of 18F-FDG thus enables these results to be translated rapidly into the current patient care paradigm. Prior to this however, a few shortcomings in this work should be addressed. First, the mechanism for high 18F-FDG accumulation in PD-1/PD-L1-positive tumors remains rather unclear. The fact that a high tumor stage also correlates independently with increased tracer accumulation points to the possibility that other factors may be at play in addition to the simple expression of these markers. Additionally, this retrospective study was limited by a relatively small sample size (only 6 patients were PD-1-positive and 16 PD-L1-positive with overlap between these two groups) and the lack of patient outcome data. To truly understand the power of 18F-FDG correlation with checkpoint expression, a large number of patients need to be followed longitudinally to determine if the increased tracer uptake truly indicates higher checkpoint expression and therefore an increased likelihood of a response to blockade. Finally, a very large range of 18F-FDG SUVmax values was observed in this study (from 3 to >60), with a high degree of overlap between positive and negative patients in both the PD-1 and PD-L1 studies. While statistically significant differences in these values were noted for positive/negative populations in this study, the clinical applicability of this technique on an individual patient basis may therefore be limited. While approaches based on traditional tracers such as 18F-FDG can provide useful information and may be most readily applied in the clinic today, the future of immunotherapy molecular imaging may also lie in novel tracers for immune-related targets [1, 2, 3]. Such targeted agents may provide complementary information to that obtained from 18F-FDG scans, especially with the advent of new technologies, including PET/MRI. PET agents that uniquely bind immune cells or related markers may provide specific information on the types of cells that are present, while the high-resolution imaging afforded by MRI will help localize these cells precisely within the tumor microenvironment or elsewhere in the body. Since there is some evidence that the spatial distribution of immune cell infiltrates as determined from imaging and/or histology may correlate with responses to immunotherapy [14, 15, 16], such strategies could provide additional stratification information beyond that possible with 18F-FDG and traditional tracers. This strategy would also be complementary to biopsies that are traditionally obtained to determine biomarker status. While they provide higher resolution and greater detail, biopsies are limited in both time and space. Multiple imaging time-points not only provide dynamic information, but also are not limited to single sample points in a tumor, providing whole-body readout of biomarker expression. While we wait for the pipeline tracers for immune cells and related markers to move to the clinic and hopefully for proof of their potential, studies like this one by Chen et al. will certainly help clinicians better understand their patients’ responses to immunotherapy. A deeper understanding of the imaging patterns seen in immunotherapy patients will inevitably lead to new ways of determining optimal therapeutic strategies and monitoring patients on these still-novel treatments. 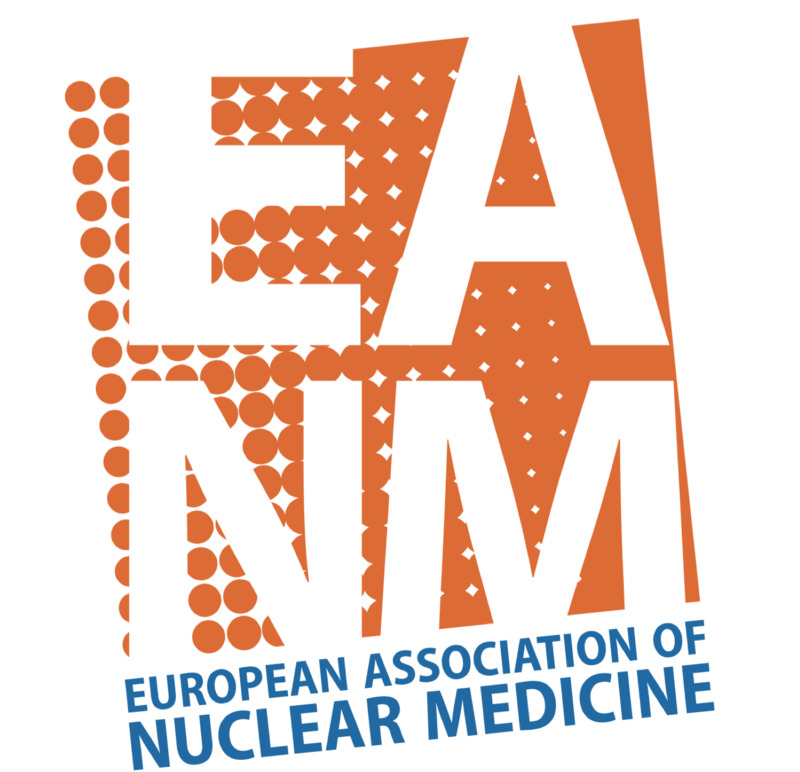 Nuclear medicine and molecular imaging researchers therefore are armed with the tools to affect the success of these therapies in an unprecedented way, and we all look forward to the future of this promising field. The authors are grateful for financial support from the National Natural Science Foundation of China (81371626 and 81630049), the University of Wisconsin – Madison, and the National Institutes of Health (P30CA014520, T32GM008505, and T32CA009206). This article does not describe any studies with human participants or animals performed by any of the authors. Chen R, Zhou X, Liu J, Huang G. Relationship between the expression of PD-1/PD-L1 and 18F-FDG uptake in bladder cancer. Eur J Nucl Med Mol Imaging. 2018. https://doi.org/10.1007/s00259-018-4208-8.